Lock in a great price for Hipotels Marfil Playa – rated 8.4 by recent guests! Everything was lovely! Great hotel, never crowded and always free sunbeds. Room was lovely, food was very good with lots of choice. Resort was small with everything you could need, lovely beach. Well done Marfil Playa!! Lovely hotel, helpful staff, so friendly. Clean and food was amazing. I added an additional night to my stay which was no problem. Lovely hotel located very nicely close to the beach of Sa Coma. 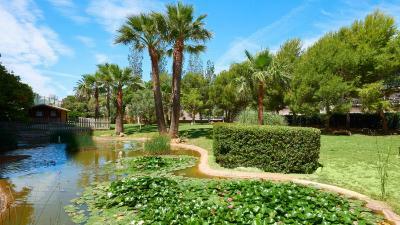 Sa Coma is a nice place to stay because you have a nice beach with very nice water spots and you are close to the very long (but touristic) beach of Cala Millor connected with a beautiful nature park to hike. The village after Cala Millor is Cala Bona which has some nice restaurants an the water front. Central location in Sa Coma, close to beach. Good size rooms, with a nice view, food was good. Pool inside and out was great. And parking in hotel or in surrounding streets easy. Nice location, close to the beach. Fairly big room with balcony. Hipotels Marfil Playa This rating is a reflection of how the property compares to the industry standard when it comes to price, facilities and services available. It's based on a self-evaluation by the property. Use this rating to help choose your stay! 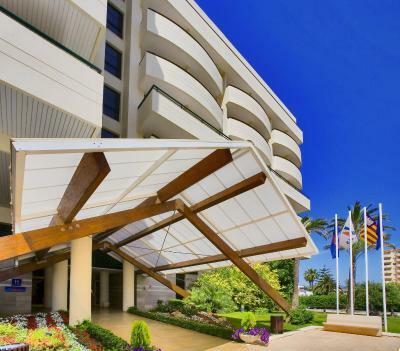 This elegant hotel has a great modern design and is only 300 feet from Sa Coma Beach. There is a large outdoor swimming pool. 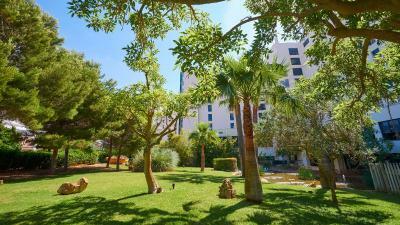 Hipotels Marfil Playa is surrounded by 5380 ft² of grounds. 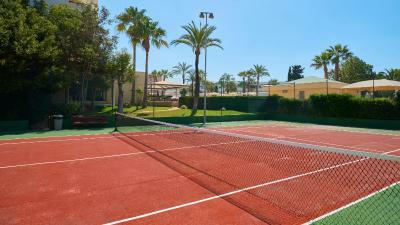 It is in a central area by the S’Illot resort of Mallorca. All rooms at the Hipotels Marfil Playa have a TV and a private balcony. There is full heating and air conditioning. The hotel has a restaurant and a cafe-bar. There is a varied buffet breakfast with show cooking. There is a gala buffet dinner once a week. There is an attractive terrace bar next to the swimming pool. There is also a children’s playground. When would you like to stay at Hipotels Marfil Playa? 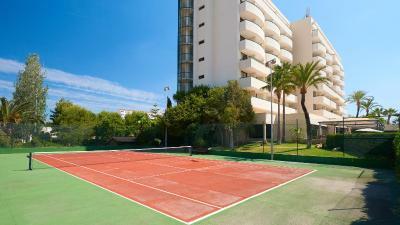 This spacious, air-conditioned room has a furnished terrace. Decorated in a modern style, it includes a TV and private bathroom. House Rules Hipotels Marfil Playa takes special requests – add in the next step! Hipotels Marfil Playa accepts these cards and reserves the right to temporarily hold an amount prior to arrival. We were transferred last year when we booked this hotel to another, due to a refurb. Unfortunately staying this year, what refurb? Broken tiles on room floor, bathroom was very dated, bath had to be washed out before use. It’s a shame we didn’t get transferred again! Preferred the other hotel we got last year to this. I won’t unfortunately be staying here again. Food options were limited , but plenty of choice nearby outside the hotel. Nothing at all to not like!! Poor air condition in bedroom. Hotel staff doesn't say much (no hello, bye or good day when you go in or out of the hotel). Indoor pool is closed in the summer time. If you want towels for the swimming pool you have to pay a deposit of 15 euros a towel. The rooms are very noisy and there is a lot of noise from the bars outside. On our last night the lock of our door broke so we had to wait for more then half an hour for a lock smith before we could go in to our room. No free drink for the trouble or anything. In general I just expected more of the hotel facilities and staff for the price we paid. Terrible service, rude staff. We booked a double room and got twin beds. Air conditioning didn't work and nobody came to fix it. All round awful experience.